There’s more to the world than what we can see with our naked eye. There’s a whole universe that exists in a space to small for us to see. So buy a microscope and get exploring! The Microscope Camera with 1000X Zoom hooks up to your computer and lets you look at explore the tiny hidden world. This camera works with an app on both Mac and Windows computers. Just hook it up, aim it where you want and get to documenting whatever you’d like. 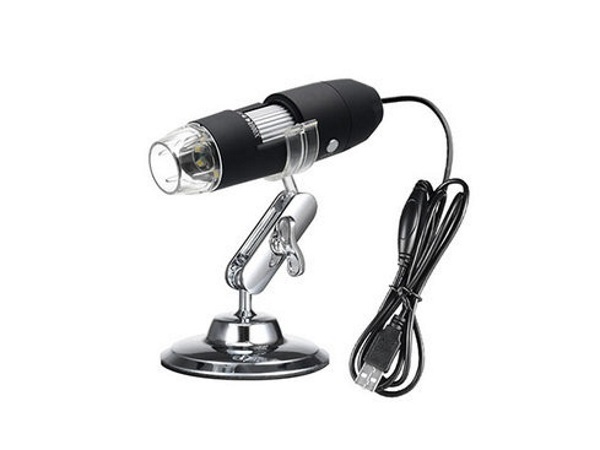 The device can magnify up to 1000 times the original size allowing you to see fine details on small things or small things that would be otherwise invisible. It has eight built in LEDs allowing you to clearly see whatever it is you’re looking at. It comes with everything you need to get started. You can get one for $38.99.